Five years later, the Clippers’ free agent DeAndre Jordan touched off a kind of mad-cap sequel on Wednesday, called “The Indecision of DeAndre Jordan.” It would not be televised, but it would be followed and chewed over in real-time leaks and bursts of speculation, on whatever device was at hand. First, word circulated that Jordan, a dominant defensive player, might renege on the verbal commitment he made last week to play a leading man role for the Dallas Mavericks (reportedly for four years and around $80 million) to possibly remain as a best supporting actor candidate with the hometown Clips (for four years and $88 million, according to ESPN). The story, wherever it was coming from—oh my god, what if it’s coming from inside Jordan’s house!—not only had legs but built-in drama. Not that I completely understand how it works (Google “moratorium,” “NBA,” and “free agent”), but there was apparently a deadline of midnight for Jordan to pick Dallas or L.A. as his next team. When the clock struck 12, he’d either be a new Maverick or remain a Clipper. According to reports, Jordan had reached out to Clipper BFF Blake Griffin and/or coach Doc Rivers to say he was having a change of heart about Dallas. Clipper Nation fired up the private jets and cut short the beach vacations to make for Jordan’s off-season home. Yes, Jordan was staying in L.A. after all, ending speculation that the Clippers, in a desperate search for a replacement center in this the season of their re-branding, had texted Bill Walton at a Grateful Dead reunion show to see how his feet and knees were feeling. 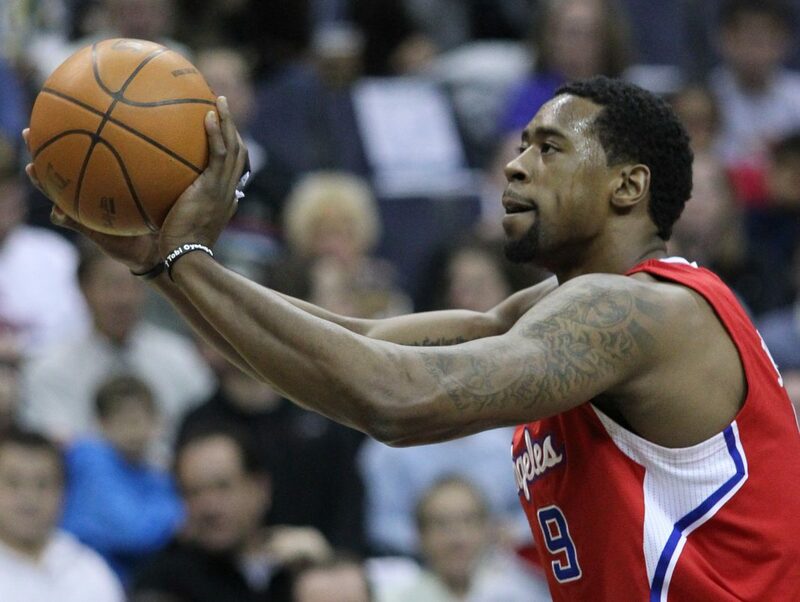 Immediately, of course, there was “The Indecision of DeAndre Jordan” backlash. Me? I felt for Jordan. A classic un-decider myself, I can totally empathize with his dilemma (especially if you exclude the $80 million v. $88 million part of the equation). Going back and forth on a decision is, I’d like to think, just as much a sign of depth as it is of weakness—although his equivocating might explain Jordan’s almost tragic vulnerability at the free throw line. Where else in a basketball game does a moment freeze and crushing self-awareness factor in? Meanwhile, the Clippers’ worst-case scenario is averted. Jordan’s patrolling of the paint—centers are now called “rim protectors,” like they’re part of some missile defense program—makes him an All-Star. Without him, Griffin was going to have to play even harder minutes. A lot of free agents have decided to play for new teams recently, but Jordan is the only one who committed the appalling transgression of reversing himself. Jordan must be mortified. Though I read on ESPN.com that he’s about to embark on a Caribbean cruise. Next articleCan You Guess Who Inspired Rockwell Table & Stage’s New Cocktail Menu?